Wine Storage Bellevue offers wine cellar relocation services to make moving a wine collection to state-of-the-art storage easier than ever before. 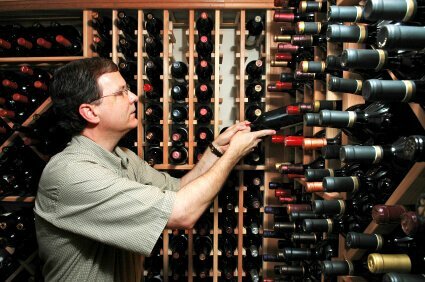 Moving your wine into proper storage can be a daunting task! Not everyone has the time to move, much less organize and pack it. Our complimentary cellar relocation includes our Free Move-In Truck and up to three hours for a Wine Storage Bellevue representative to move a wine collection, already packed in boxes, from a home or other wine storage location within the greater Seattle area to a new wine storage locker at Wine Storage Bellevue. Other services, such as packing wine bottles into boxes, unpacking, organizing, and cataloging can be arranged via our network of trusted partners for an additional fee. Want your wine racked in your storage space? Wine Storage Bellevue also offers racking systems to fit most locker sizes, so you can ensure that your wine is not only properly stored, but easily accessible, too. Call (425) 453-1958 to make your appointment, or simply come on in to set up your wine shipment receiving account with us today!